Incredibly beautiful women do not need makeup. In fact, some would argue that makeup only detracts from their beauty. Exotic cars are not so different – they are gorgeous from every angle, and adding accessories or fancy paint jobs usually detracts from their look. 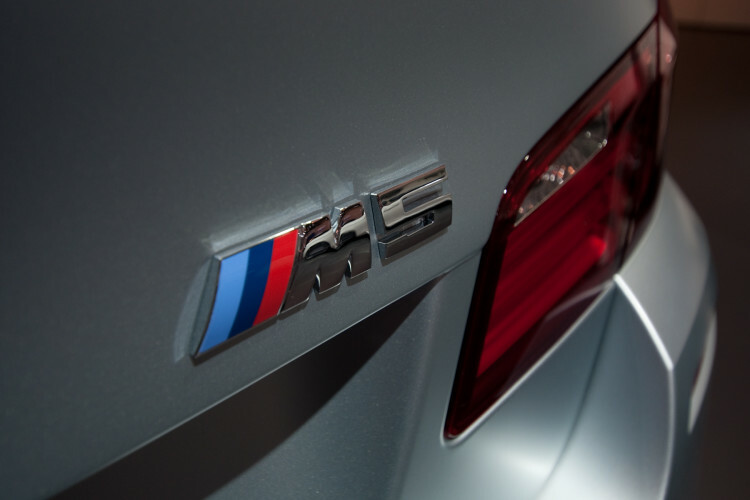 The M5 is about as exotic as a 4-door sedan can get, in close company with the Quattroporte, Panamera, and Rapide. It’s shape is already beautiful, but when you add Frozen Grey matte finish paint, the surface captures light and shadow with stunning effect. For more information about the BMW M5, including a full drive review, racetrack review and drift session, click here, here and here. Enjoy the photos, and if you do have the chance to attend the auto show in person – do so. It’s worth the trip just to see the M5 wearing this paint. It’s just the right amount of makeup on a beautiful woman.